So what made my first book gripping, page turning, a ‘good read’? 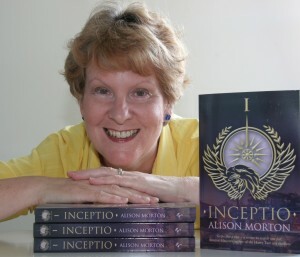 A lot more about INCEPTIO and the UK launch at Waterstones Tunbridge Wells. The second in series, PERFIDITAS, came out in October 2013 and the third, SUCCESSIO, in June 2014 and was launched with the help of broadcaster Sue Cook and a video! AURELIA, June 2015, starts a new three-book cycle and takes us back to the late 1960s. 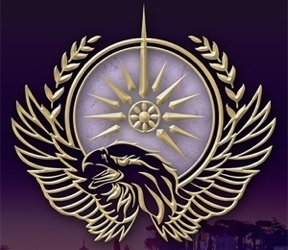 INSURRECTIO, which follows AURELIA was launched in April 2016 at the London Book Fair and the second trilogy was completed by RETALIO in April 2017. Then I wanted to find out could write anything as short as a novella… CARINA, set between INCEPTIO and PERFIDITAS, came out in November 2017 as an ebook and in paperback in late March/beginning of April 2018. INCEPTIO was shortlisted for the 2013 International Rubery Book Award and along with PERFIDITAS was shortlisted in the Writing Magazine 2014 Self-Published Book of the Year Award. SUCCESSIO was the Historical Novel Society indie Editor’s Choice Autumn 2014 and longlisted for the 2015 HNS Indie Award. AURELIA received the same accolade for Autumn 2015 and was one of four finalists for the 2016 Award. All six full-length books have been awarded the B.R.A.G. Medallion. Not a natural short story writer, I do try! Delighted to have been shortlisted in the Writing Magazine 2013 New Subscribers’ Short Story Competition for ‘Booked‘ and I was asked to contribute a Roma Nova story to the 1066 Turned Upside Down anthology of alternative stories. Apart from numerous online interviews and guestposts, I’ve spoken at various conferences and litfests, given workshops and talks. More about the live events here. And I was deeply honoured to be asked to judge the 2017 Words With Jam First Page Competition. After selling my translation business at the end of summer 2009, I started writing my first Roman novel. I’ve always been a ‘wordsmith’. Translating professionally for much of my career has made me pretty nit-picky about words, grammar, punctuation, document cohesion, theme and structure. I joined the Romantic Novelists’ Association (RNA) under the New Writers’ Scheme in 2010 and found it supportive, collegiate and brimming with knowledge and experience. 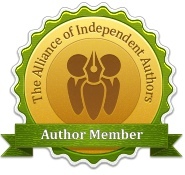 I became the first Independent Author Member on 1 September 2015. 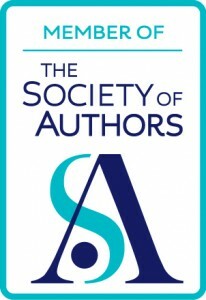 My other memberships include the Historical Novel Society (HNS), Society of Authors, Alliance of Independent Authors and International Thriller Writers. Now, I give talks on writing skills, self-publishing and historical fiction at writers’ conferences, tutorial groups and associations. Hobbies? Reading, wine, gardening (weeding is excellent inspiration for solving plot holes!) and anything Roman. I moved to France in May 2010 but as all my friends and colleagues know, I’m always back and forth to the UK.